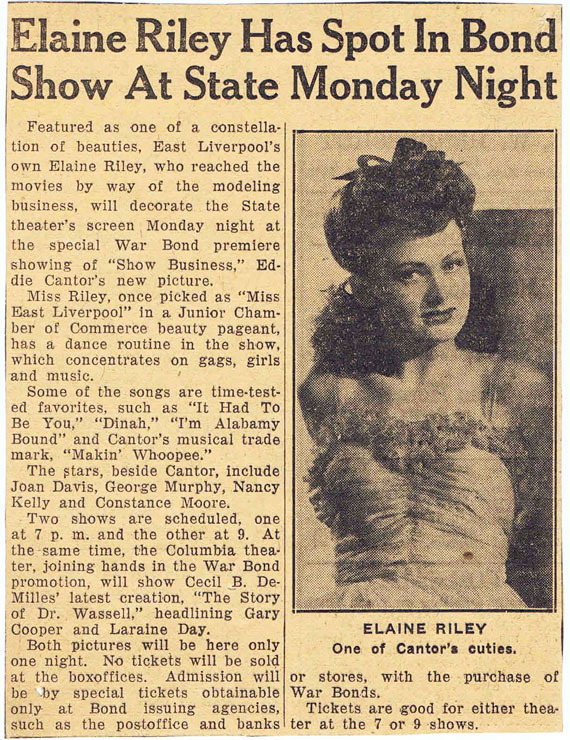 East Liverpool Review, date unknown but probably sometime after 1943 and before the end of the war. 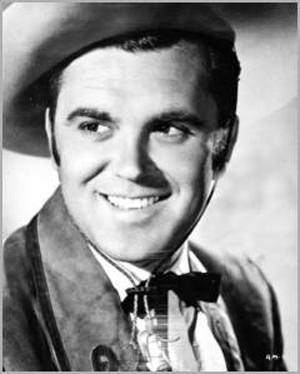 Elaine was married to Richard 'Chito' Martin, who is best remembered as Tim Holt's sidekick who in later life, became a successful insurance executive. Martin passed away in 1994. 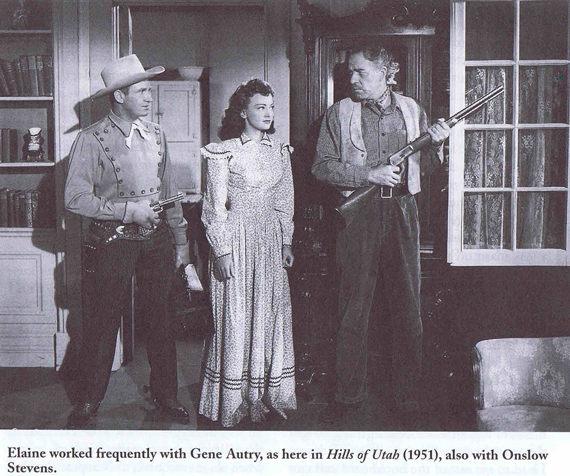 Picture from Ladies of the Western. Interviews with Fifty-One More Actresses from the Silent Era to the Television Westerns of the 1950s and 1960s MICHAEL G. FITZGERALD and BOYD MAGERS with forewords by Kathryn Adams, Mala Powers and Marion Shilling McFarland & Company, Inc., Publishers Jefferson, North Carolina, and London (2002) p 219. 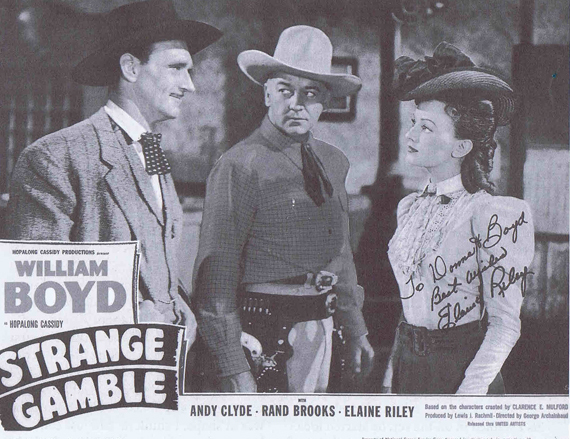 James Craven, William Boyd and Elaine in Hopalong Cassidy's Strange Gamble (1948). Picture from Ladies of the Western. 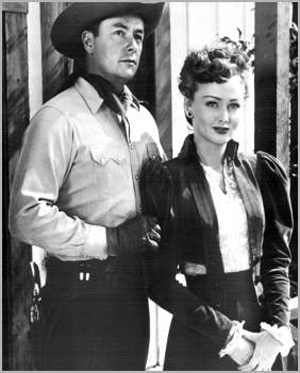 Interviews with Fifty-One More Actresses from the Silent Era to the Television Westerns of the 1950s and 1960s MICHAEL G. FITZGERALD and BOYD MAGERS with forewords by Kathryn Adams, Mala Powers and Marion Shilling McFarland & Company, Inc., Publishers Jefferson, North Carolina, and London (2002) p 221. 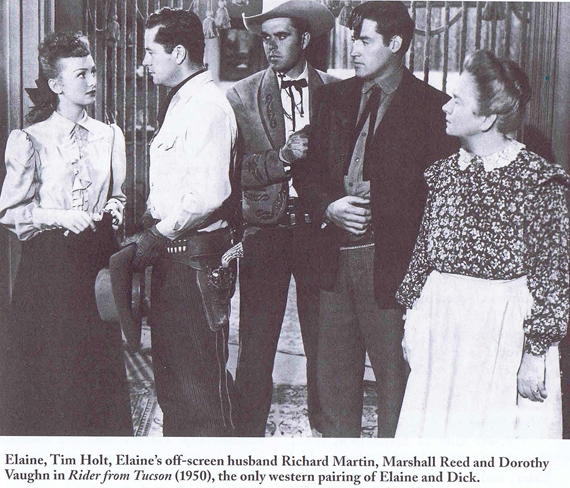 Picture from Ladies of the Western. 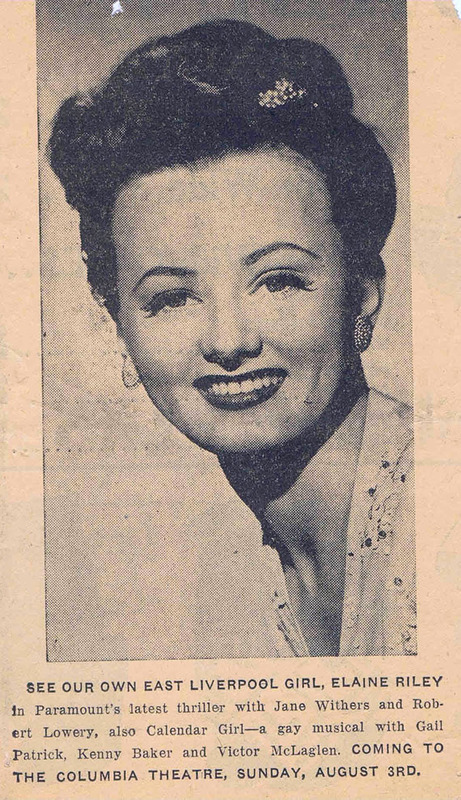 Interviews with Fifty-One More Actresses from the Silent Era to the Television Westerns of the 1950s and 1960s MICHAEL G. FITZGERALD and BOYD MAGERS with forewords by Kathryn Adams, Mala Powers and Marion Shilling McFarland & Company, Inc., Publishers Jefferson, North Carolina, and London (2002) p 223.